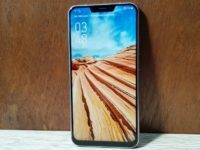 At launch, the Asus Zenfone 5 was announced to come in a variety of configurations which differ primarily in terms of storage, RAM and processor. The mainstream Zenfone 5 was launched earlier last month which came with a Snapdragon 635 processor. 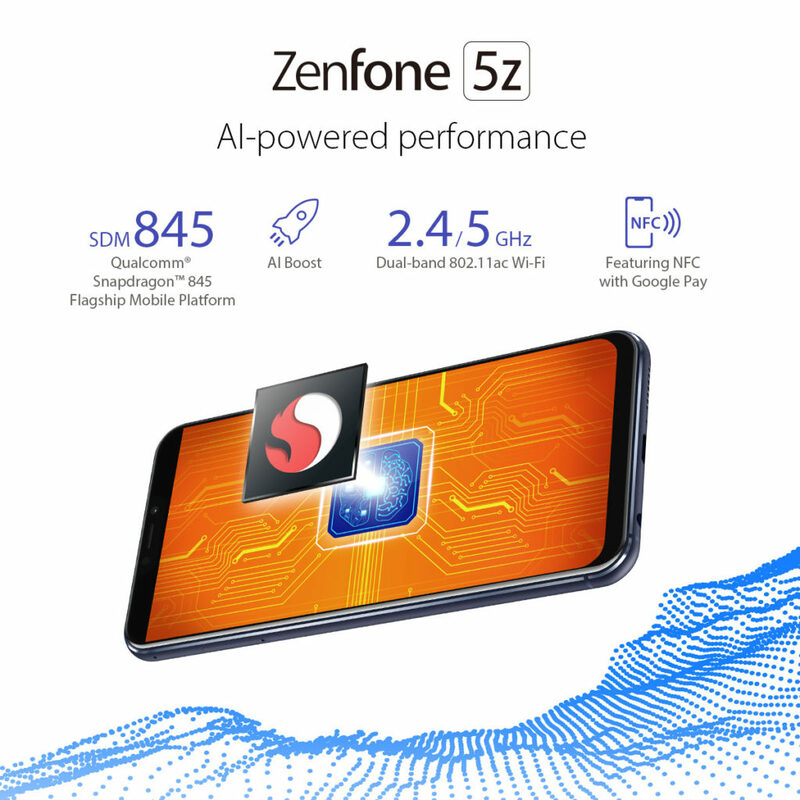 Details on the higher end Zenfone 5z which comes with Snapdragon 845 processor remained scarce. 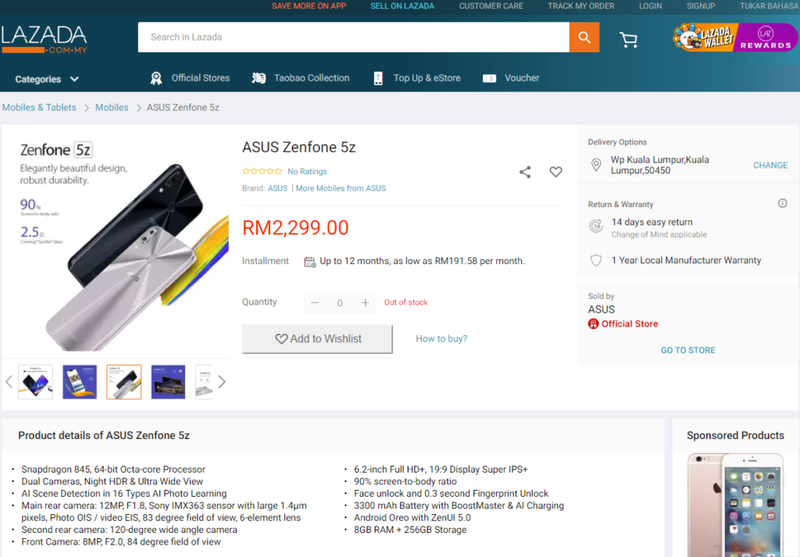 Until now that is as Lazada has inadverdently leaked preorder details along with the price of the Zenfone 5z. 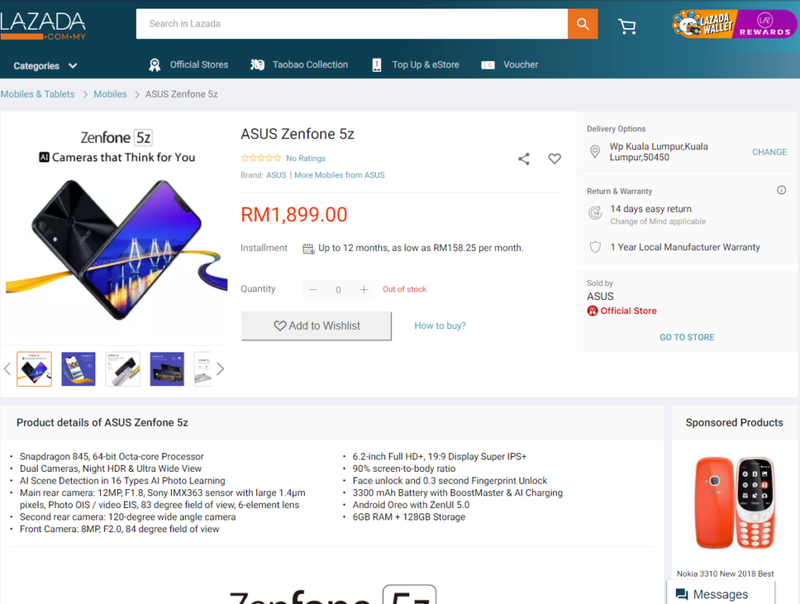 The page, which is on the official Asus online store on Lazada lists the prize of the Zenfone 5z and its configuration for Malaysia. For RM1,899, you’re getting a phone with a 6.2-inch Super IPS+ Full HD+ display, a top-of-the-line Snapdragon 845 octacore processor, a massive 6GB RAM and 128GB of expandable storage which lets it go toe to toe with almost any brand’s major flagship phone. There is a much higher end variant with 8GB RAM and 256GB of storage but that doesn’t seem selectable or available here as yet. 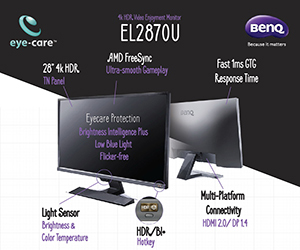 This oversight seems to have been corrected as another leak from the intrepid chaps at NasiLemakTech have revealed that the highest end variant with 8GB RAM and 256GB of storage is indeed coming to Malaysia at a price of RM2,299 which is still very affordable seeing the hardware it brings to the table. The leak also appears on the same official Asus store on Lazada which adds to its authenticity. Regardless of the processor and storage, both variants of the Zenfone 5z are aired with a rear dual camera that blends 1 12-MP f/1.8 snapper with OIS and video EIS along with a secondary wide-angle camera, an 8-MP front camera and a 3,300mAh battery with their BoostMaster charging tech. While the preorder page does not allow you to select colour choices, it’s inferred that you can pick from either silver or black like the mainstream Zenfone 5 variant which has a Snapdragon 635 processor. 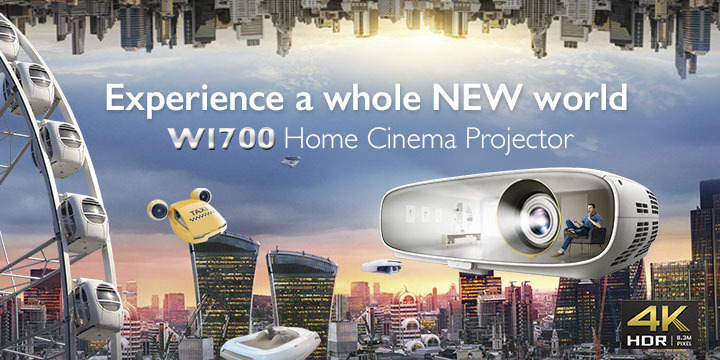 At RM1,899 and RM2,299, it’s a pretty competitive price for something packing a Snapdragon 845 processor and seeing the performance of the rear camera exhibited by its more affordable sibling, it looks like a potential winner in the making. There are no dates or other details on the timing of the official launch date but it looks like it’s headed for a release date sometime in early August, if the preorders happen and the page starts accepting orders in the next few days. In the meantime, check out our review of the cheaper close sibling the Zenfone 5 here. *Updated to include the latest leak on the top-end Asus Zenfone 5z 8GB RAM/ 256GB variant which looks certain to come to Malaysia.